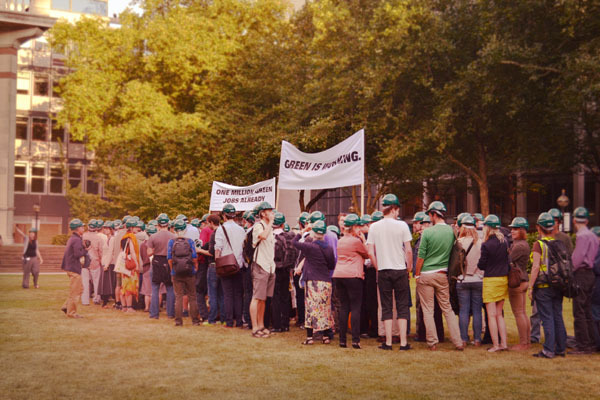 Café Naïveté: Vivienne Westwood says: get a life and become a climate warrior! Vivienne Westwood says: get a life and become a climate warrior! 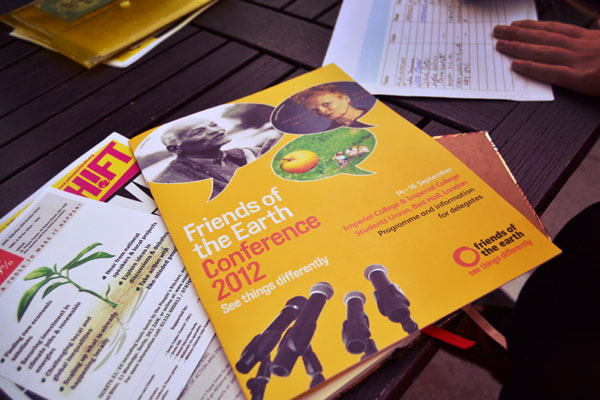 On Saturday my friend Kate dragged me to a Conference held by the Friends of the Earth at the Imperial College. Besides Caroline Lucas, the MP for Brighton Pavilion and leader of the Green Party of England & Walesother, Lidy Nacpil, Regional Coordinator of Jubilee South Asia/Pacific Movement on Debt and Development (JS APMMD), also Vivienne Westwood was invited to give a speech. Although I have to admit I am not an "active green person" all speeches were extremely inspiring. I will definitely look forward on going more on these kind of events. Also, Caroline Lucas's talk was so strong andpositively convincing that if I ever were to be involved in politics I would definitely join the Green Party. One of the really good thoughts she pointed out was that it is all about the attitude and positive thinkig as it is only so that you can involve more people in your fight. Complaints and threats of the possible horrible future awaiting surely make us, not-so-green-people, feel guilty but also does not make us want to switch off the lights or recycle plastic bottles. 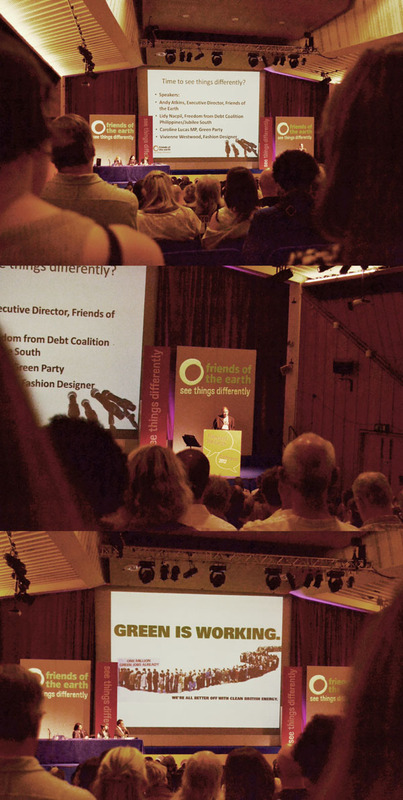 One of the best parts of the Conference was obviously Vivienne Westwood's speech. She was just amazingly funny and spontaneous. And it was so nice to see how passionate she was about the cause, as some point she even managed to drop the microphone because of her vivid way of talking! Watch the video to listen the story of her dress and the hidden message for the Paralympics. there are only 2 types of people left in this world: climate warriors and idiots. And I'm sure none of us wants to be part of the last ones!